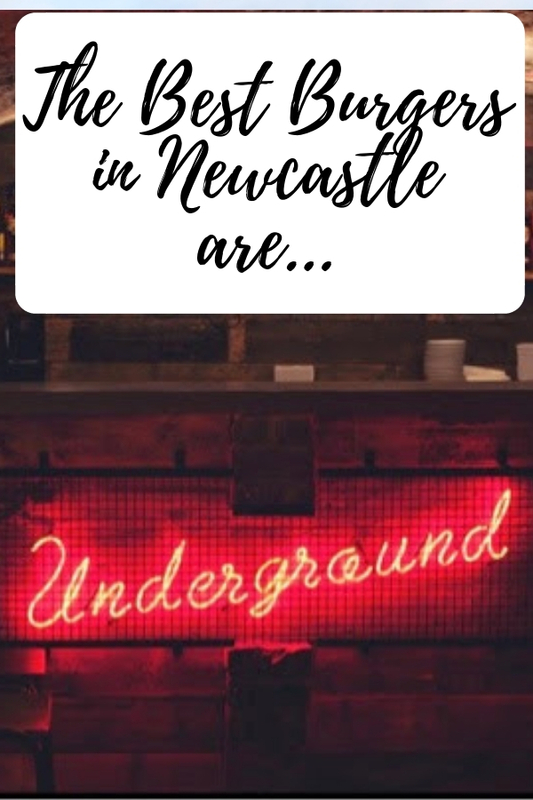 I've spoken many times about my love of Burgers and I said here how I rate Fat Hippo Underground to be my favourite restaurant in Newcastle. Well it's been a while since I visited but last week we were going to the theatre so me and Mrs. 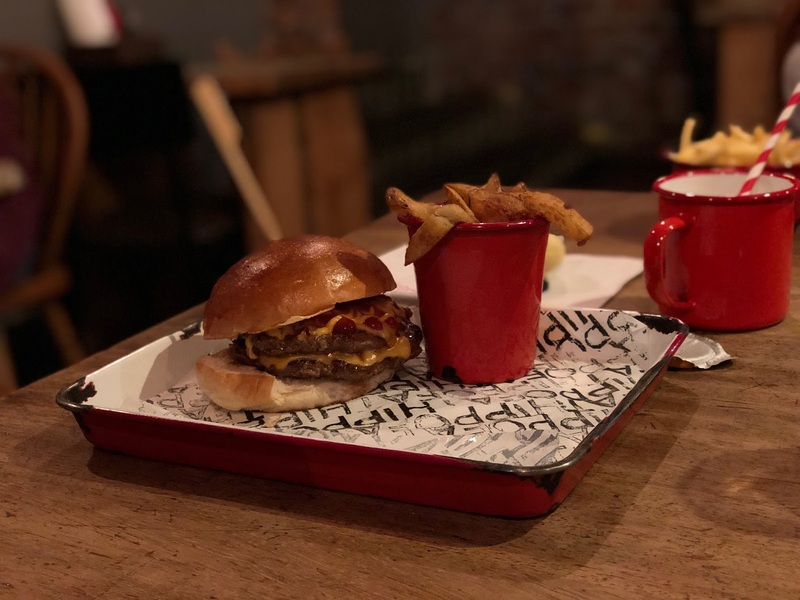 Cool decided to take the kids and I can confirm Fat Hippo Underground still has the best Burgers I've ever had. Mrs. Cool likes the American which is a Double Pattie with Cheese, Gherkins, Ketchup and American Mustard. This is nice Burger, pretty basic, but still really good. The cheese perfect for a burger nice and melty (is melty a word?). For me this is an entry level burger but Mrs. Cool likes it but after all her favourite pizza is Margherita so I would expect nothing less. I Like to mix it up a bit and try something different (unless I have a particular hankering for the PB&J) this time I went for the Wild Bill. 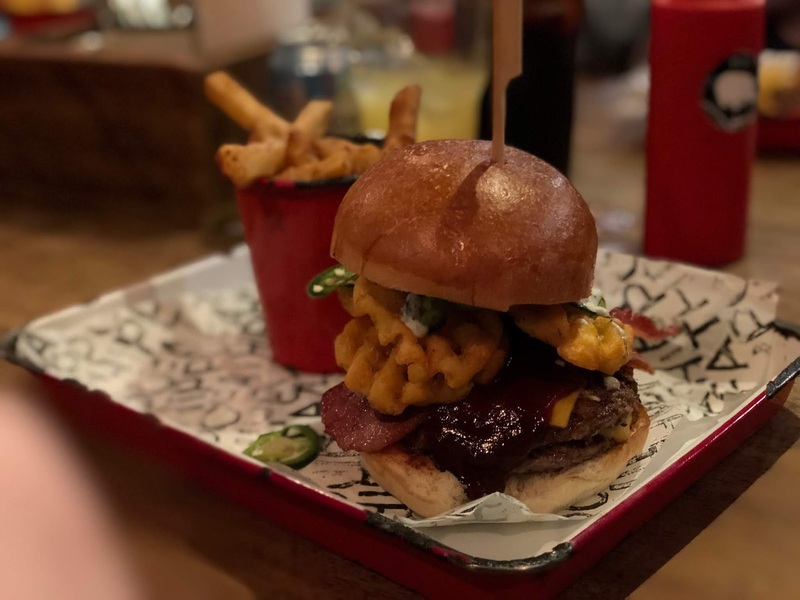 A fully loaded burger with Double Pattie and topped with Smoked Bacon, Cheese, Cajun Waffle Fries, BBQ and Ranch Sauce with Jalepeños. This one is quite epic and I had to deconstruct it a bit to get my laughing gear around it. The Patties are juicy and pink in the middle and the combination of the BBQ and Ranch sauces are great (but messy, you will need a few paper towels for this one). I have tried many a burger but I am yet to find one that is better than the Fat Hippo. 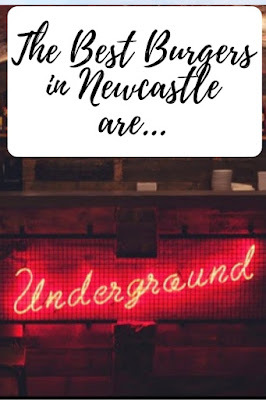 If you haven't tried Fat Hippo they have restaurants in Newcastle, Jesmond and Durham. Have you tried a better Burger? If so, let me know where. yum yum yum!! I took a friend who was visiting from york here in the summer holidays and she loved it too....such a bargain on lunch time. i love the lunchtime deal. can't believe how cheap it is.